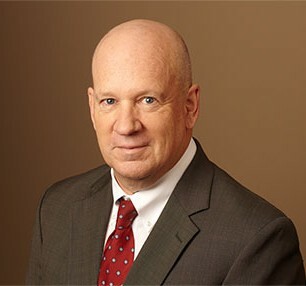 Doug Brothers has more than 30 years of experience in a wide variety of complex litigation matters, representing both plaintiffs and defendants in trials, appeals, and arbitrations. He has obtained and collected numerous large awards and settlements in a wide range of matters spanning the practice areas listed above. Doug has been recognized for his accomplishments by numerous organizations. He has been selected for inclusion in Texas Super Lawyers® since 2003, and was named to the Top 50 Lawyers in Central/West Texas in 2016 and 2017. Doug was recognized by The Best Lawyers in America© for Bet-the-Company Litigation, Commercial Litigation, and Legal Malpractice Law since 2008, and named Austin’s Lawyer of the Year for Bet-the-Company Litigation in The Best Lawyers in America© for 2016. Doug was also named Best of the Bar for Civil Litigators by the Austin Business Journal in 2003.